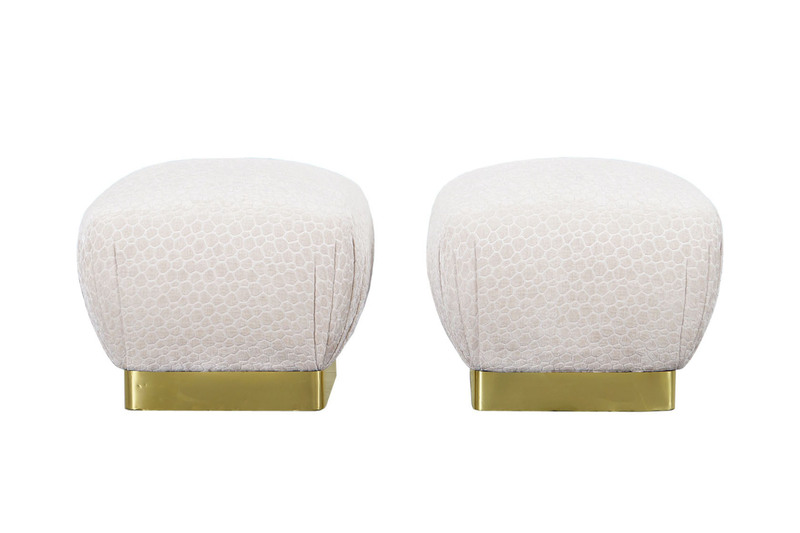 Stunning pair of vintage brass poufs / ottomans designed by Marge Crason. Newly reupholstered in custom velvet. The cushions pop like a souffle. A great set for extra seating.